It is no secret that Americans spend heavily on healthcare - in 2013, US healthcare expenditure totaled nearly $3bn ($9,255 per person) and accounted for 17.4% of gross domestic product. A complex intersection of forces has meant that blunt efforts aimed at simply reducing healthcare utilization volume and/or negotiating prices of materials and services have been only marginally effective in controlling US healthcare costs. Instead, policy-makers and practitioners are turning to novel approaches intended to extract greater value from healthcare in the US. Many of these efforts aim to reduce variability in clinical practice and align practice to quality evidence on the benefits of health technologies in all relevant patient populations. Comparative effectiveness research (CER) and health economics and outcomes research (HEOR) have risen to prominence in these efforts, and have experienced recent rapid growth in terms of funding, evidence generation, and application to payer coverage and payment policies. 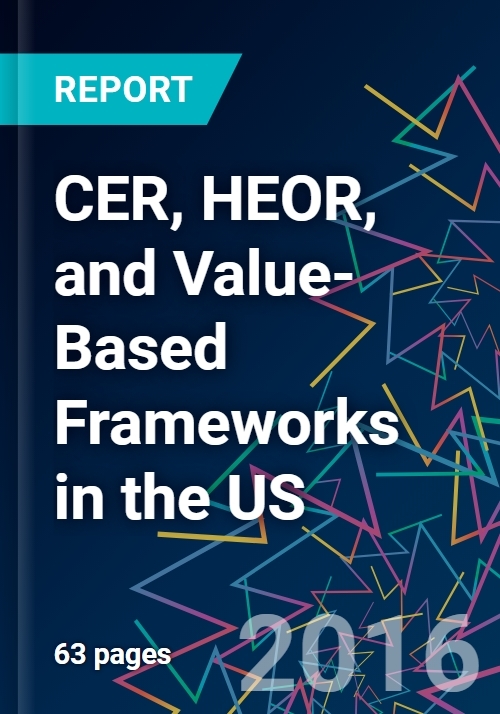 The evolution of CER/HEOR’s role in the US and the rise of value-based frameworks for product assessment has many potential impacts for the pharma industry, and it is important for manufacturers to understand how to demonstrate value to all stakeholders (payers, providers, and patients) in an environment increasingly characterized by comparative value and cost containment, but with the persistent elements of payer fragmentation and research challenges. - What impact have CER and HEOR had on drug reimbursement and uptake in the US so far? - Who are the key generators and users of CER and HEOR data? - How are new drug valuation frameworks such as ASCO, NCCN or ICER impacting drug reimbursement in the US? - How is the use of outcome-based risk-sharing deals evolving in the US? - What strategies will pharma companies need to employ to remain successful as payers look to derive greater value from new medicines? - CER/HEOR - who’s generating and who’s using?